A Collective of London's Professional Musicians & Entertainers for Corporate Events, Media Production, Commercials, Concerts, Festivals and Private Parties. Cool Stand are exceptionally charismatic and professional acoustic duo with an unique sound, touch and feeling. Their extensive repertoire of tunes covers songs from the 50s to the latest hits. Their sound and energy would make the crowd dance all night as it will fit equally well in a more intimate atmosphere. Cool Stand are known for their remarkable harmonic vocals and guitars. They are the ultimate right choice for a perfect and unforgettable evening. Music for LONDON Ltd (Est. 2002) Represents a Collective of London’s Most Requested Professional Musicians & Entertainers for Hire in London, the rest of the UK and Worldwide. Book Christmas Entertainment – Highlights of Christmas Entertainment in London. 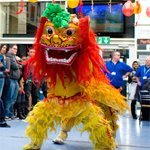 Book Chinese New Year Entertainment for Chinese New Year Events in 2019 . Highlights of Chinese New Year Celebrations in 2018 with Artistes & Performers Provided by Music for LONDON in London and the Home Counties. Almost Two Decades after shaking the hand of Johnny Cash, The Arkansas Drifters began to Honkytonk their way across Europe and the UK with their electrifying mix of 1950’s American style Rockabilly & Country music. Classically Trained Pianist that plays Bollywood Hits. Experience an evening of spell bindingly good music – this is pure live acoustic entertainment at its sweetest and best! The Rococo String Quartet, Trio and Duo incorporate world-class female musicians for all kinds of events and are passionate about performing. Electric Dreams are a talented and experienced party band that have been collectively entertaining clients at weddings, parties, corporate and private events for over five years. Enter your email address to be notified every time a new band, ensemble or solo artiste is added. The Guan Yin Lion Dancers are Athletic, Rhythmic & Flexible providing a High Impact Show that will Thrill your Guests. The Strings And Bamboo Chinese Music Ensemble comprises of the Chinese Strings, Pipa, Erhu and the Dizi Bamboo Flute. The ensemble will take you and an imaginary and delightful journey of China. 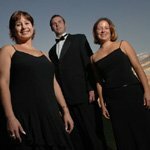 A Unique String Trio that will dazzle you with their music as much as their unique appearance and look. Giant is a traditional Gospel Choir for Hire that comes with all the Volume, Energy and Feel you would expect from a ‘Sister Act’ styled Choir. The Carribé Steel- Steel Band Solos, Duos and Trios were formed by John Thomas who is known for his enthusiastic and fun performances. Lucy and Maria are a London-based flute and guitar duo, they met whilst both studying for Masters Degrees at the Guildhall School of Music and Drama and have since worked together in a number of projects. Flamenco & Classical Guitarist who seamlessly mixes styles to create the perfect background ambience with a lift. A unique Spanish and Latino flavored band playing a repertoire of Spanish and Latin American music, their sonic vitality will vibrate from your ears, through your heart and out of your feet. Solo Flamenco Guitarist Antonio is currently based in London and is available for hire anywhere in the UK or Internationally. Antonio is truly a world class flamenco gutiarist and has performed extensively around the world. Soul City are a London based All Girl Party Band available as a female duo, mixed trio, 4 – 10 piece All Girl Band.